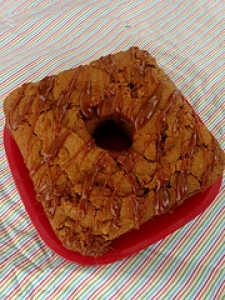 Have you made Caramel Surprise Cake? 1. Freeze caramel candies until ready to use. 2. Preheat oven to 425. Generously butter and flour eight 1 cup ramekins and set on cookie sheet. 3. Chop chocolate in small pieces. 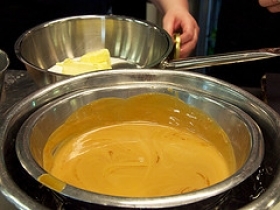 Melt chocolate with butter in double boiler over simmering water. 4. Remove from heat and stir until melted and smooth. 5. Cool. Beat eggs, egg yolks, and sugar together on high about 6 minutes. 6. Mixture will turn pale yellow and thicken. Fold in cooled chocolate mixture and vanilla. 7. Sift flour over chocolate and fold in. Pour batter into ramekins. 8. Bake about 7-8 minutes. 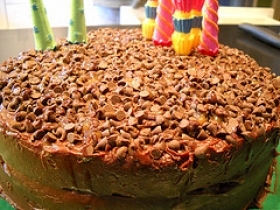 Remove from oven and insert 2 frozen caramel candies into center of half-baked cakes. 9. Return to oven and bake another 7-8 minutes. Cool, in ramekins, on wire rack about 10 minutes. 10. Chop chocolate into pieces. Heat half the cream in saucepan with sugar until it boils. 11. 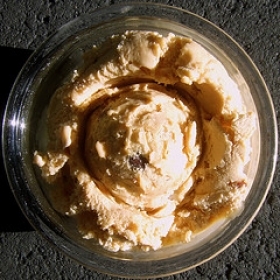 Remove from heat and add chocolate and stir until it melts and is smooth. 12. Add remaining cream and stir until smooth. Warm the jar of caramel sauce. 13. 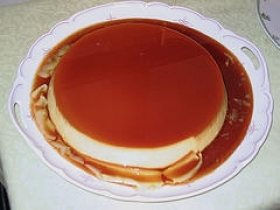 Pour caramel sauce on each dessert plate, making a pool in the bottom of each. 14. Drizzle chocolate sauce in zigzag patterns over caramel sauce and feather with a toothpick if desired. 15. 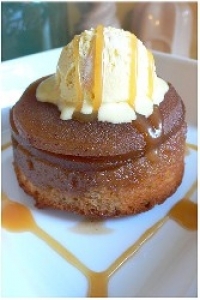 Loosen cakes with sharp knife and invert onto sauces.